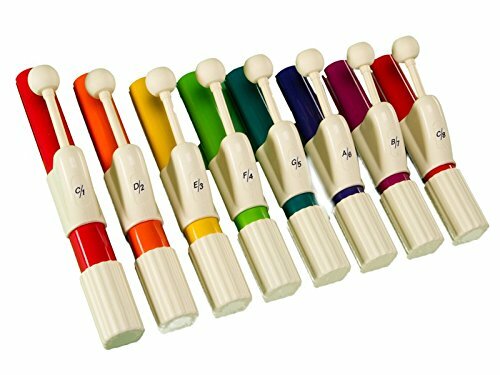 These chimes are very durable, sound great, and match the Boomwhackers color scheme. Set includes C-c diatonic hand chimes and a case. Children will love the sounds of this set.